This is the ultimate gift guide for your mom tribe. I love supporting other mamas who are doing their things and these are some great shops and fabulous products. 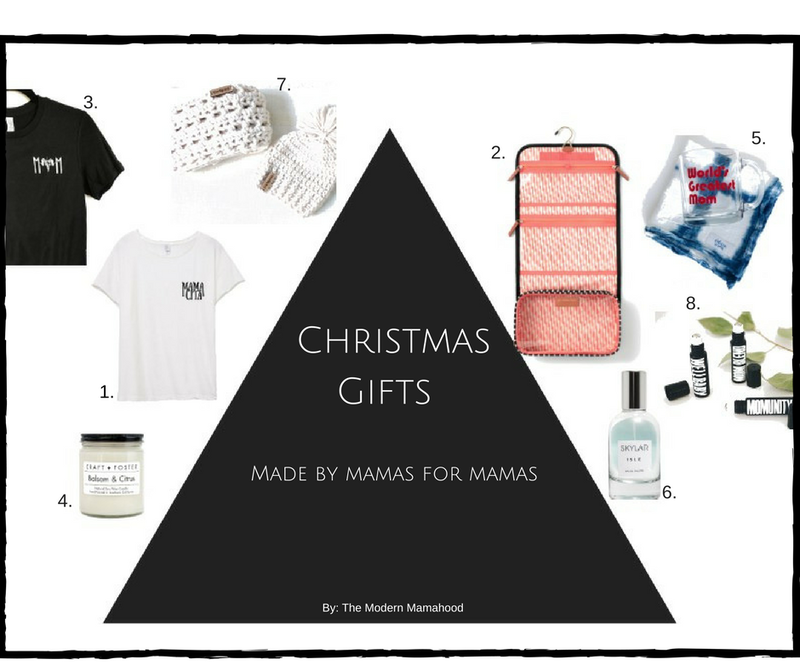 Whether you want to gift yourself or you don’t know what to gift the other women in your life I’ve got you covered. I chose these items because they are first and foremost all mamas, and second because I LOVE the products and know you will too! 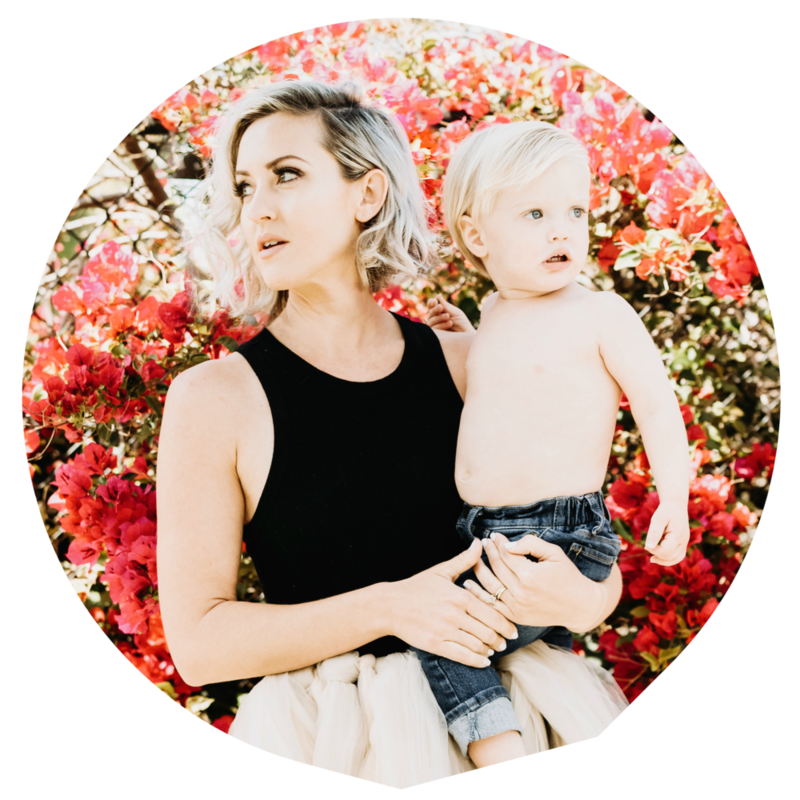 First up we have Salty Little Bums the mama behind this shop was on the blog, click here to read about her and her successful business. This Mamacita shirt has a loose fit and it’s super cute. Second we have this super cute travel bag for the on-the go mama in your life. This bag by Stella and Dot is cute and functional and of course I’m obsessed with the black and white print. Third we have Moon and Mora which has the cutest Tees for mamas!! I have 3! Fourth we have Craft + Foster which I literally LIVE for. Their candles are amazing and the mama behind this husband and wife duo hand pours all candles while raising 4 little ones! You can find their candles at Neiman Marcus and boutiques around the country. Numero cinco is the tie dye brand Odessa and Sons. I love their blue and white dish towels and they make a swaddle blanket and onsies in the same blue and white tie dye. The sixth shop is Skylar Body perfume. This is actually on my Christmas list (cough cough husband). I did a collaboration with this mama and I fell in love with Arrow scent… actually I love all of the scents! This perfume is vegan and free from harmful chemicals. Seventh on the list is Loveably Neat Boutique. This mama I know personally and she makes the cutest beanies for adults and children! I love how affordable they are and she has a huge color variety to choose from. Last but not least we have yours truly, your very own TMM roller blends. These essential oil roller blends are perfect stocking stuffers and they smell amazing!